A railroad injury case is handled under the Federal Employers’ Liability Act. A railroad injury on-the-job requires experienced legal advice. When injured on the railroad, a special law known as the Federal Employers’ Liability Act (FELA) comes into play. 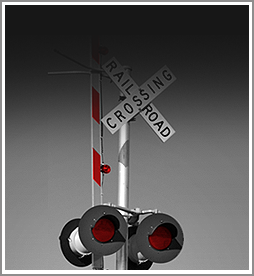 The railroad injury claim can be brought in a federal court or a state court. The injured railroad employees need experienced legal advice as to where they should bring their claims. The other laws that come into play are the Safety Appliance Act (SAA) and the Locomotive Inspection Act (LIA). These Acts provide special provisions to help the injured employees recover for the railroad injury. Again, an experienced railroad injury lawyer is needed to give you the best advice on your claim. The good news is that you can call our office and get a free consultation (with no obligation) from experienced railroad injury lawyers. Railroad injuries are usually serious in nature and an injured railroad employee should not take chances by trying to handle the claim without legal advice.